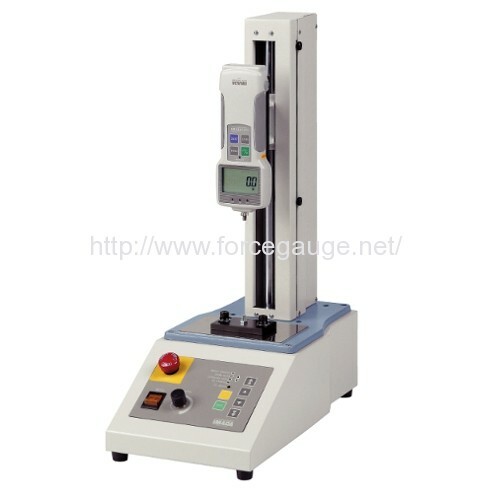 MX series Vertical Motorized Force Test Stand | IMADA CO.,LTD. To perform test, you just press the button. The force gauge travels between the limit knobs on the side of the column at the setting or the fastest speed. MX series is adjustable the testing speed with the dial. The traveling distance is adjustable by positioning the limit knobs. Equips an encoder which displays speed and distance. Equips 200mm or 250mm longer stroke than the standard model (Depends on the model). 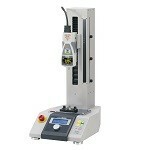 MX series activates the useful functions when connected with IMADA ZT series digital force gauge. when the applied force is beyond the force gauge capacity. Custom- made products are upon your request. Please let us know your requirements for test stand. Ask us for custom-made order! 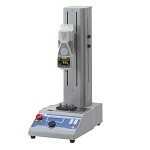 It is capable of setting traveling speed, pausing timer, repeat counter in digital. It has high rigidity, programmable traveling distance, testing condition saving, wide range of speed, an I/O connector and more as standard. It equips same functions as MX2 series. They enable to perform force measurements at a uniform angle at a budget price. If you need further information, please click each model name to go to the product web page. Load cell can NOT be combined. Size Please refer to dimensions. Instruction manual, Power cable, Gauge mounting plate, Spare fuse, and Tools. *3 Only valid with ZT series digital force gauge and dedicated cable.